So that we may continue to provide exceptional care to all of our clients, payment is expected at the time that services are rendered. 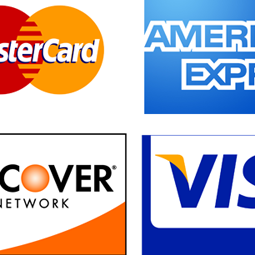 We accept Visa, Mastercard, Discover and American Express as well as personal checks and cash. A third-party payment option, Care Credit is also accepted. We will provide estimates for all surgical procedures and most treatment plans in order to avoid any unexpected charges. If you have not received an estimate for your visit and would like one, please let us know.